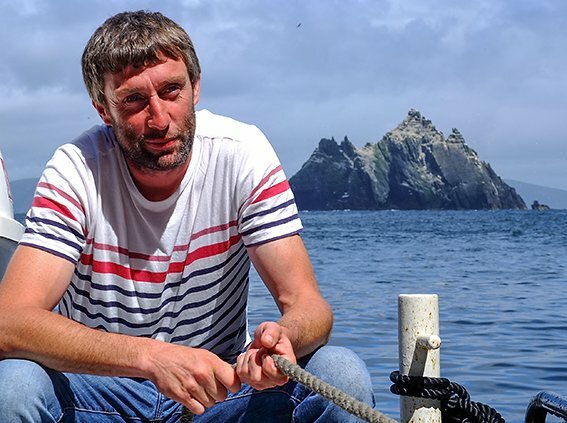 A second generation Skelligs’ boat skipper, John O Shea has the local islands in his blood and he departs daily for the Skelligs from Derrynane Harbour, a smuggling port used by the O’Connell clan of the famous Daniel ‘The Liberator’ O’Connell. 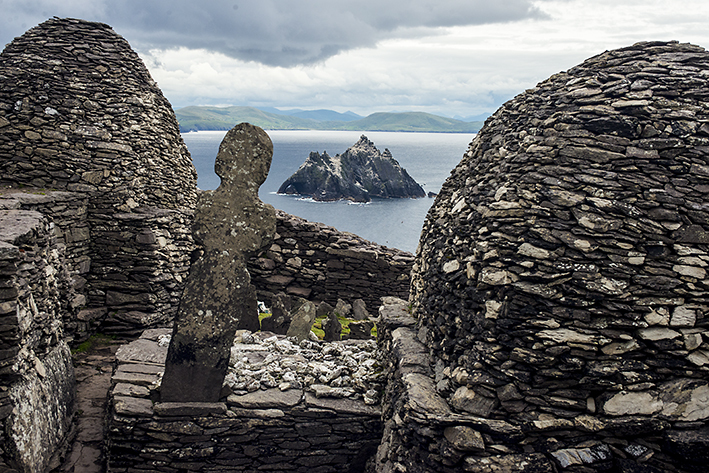 The tour takes you past Deenish and Scariff Islands in the wildlife abundant Kenmare Bay and the highlight of the trip is a 2.5 hours stopover on Skellig Michael – a 1,500-year-old monastic settlement which is a designated UNESCO World Heritage Site. On the return journey, you can take in close-up views of the Little Skellig, home to over 27,000 breeding pairs of gannets – making it the second largest gannet colony in the world. 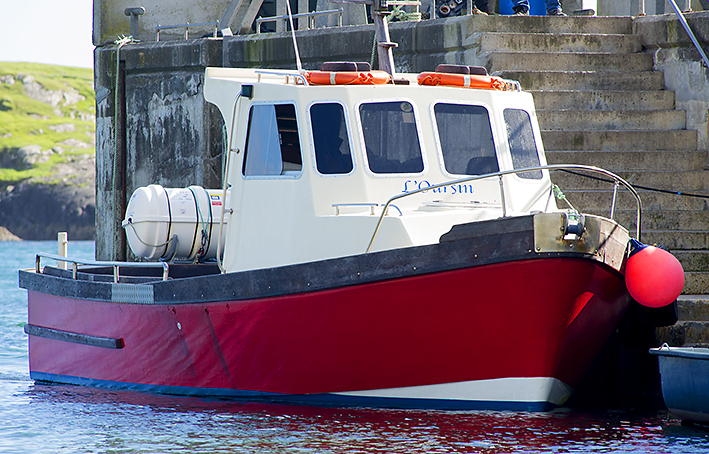 If you are lucky, we may be also be joined by curious dolphins on the return leg, while your skipper John O’Shea will often catch a few fish to cook and share on the voyage home..
Skellig Michael landing tours from May 18th We are now taking bookings for landing tours for Skellig Michael. Landing tours will start from May 18th. The trip is priced at €100 per person and is the only trip departing from Caherdaniel at the pier at Bealtra. Our cancellation terms can be found here.